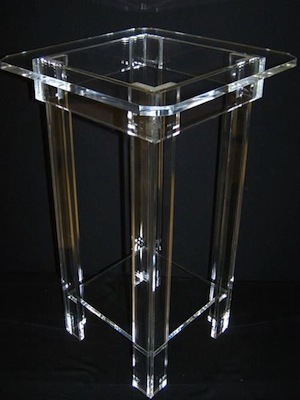 *Starting Price for the majestic style refers to the 28" Clear Majestic Podium without artwork or wood options (see #M02). 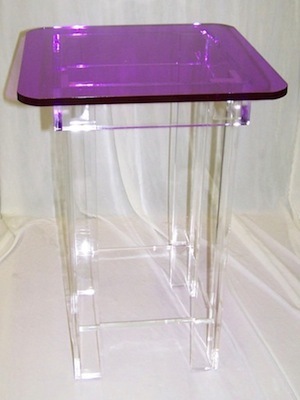 Our majestic style podiums are perfect for churches, presentations, meetings, and lectures. 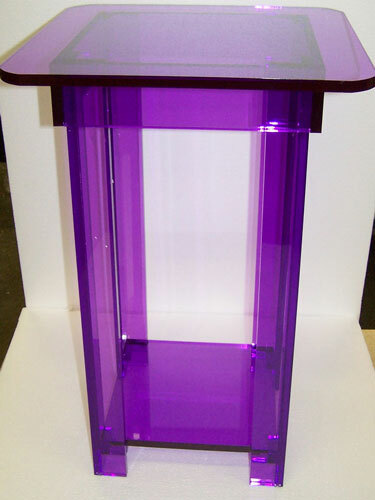 Have your own church or business logo etched onto this podium. 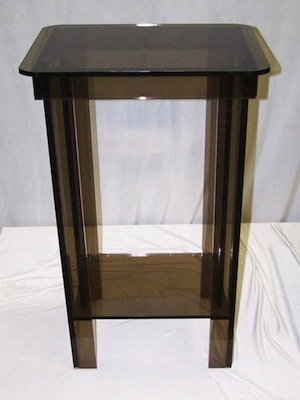 Wood and artwork options available. 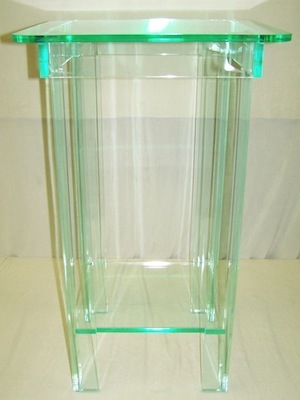 Width Options : 28", 32", 36", 48"